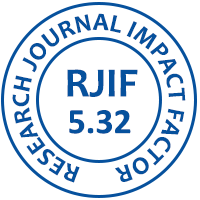 International Journal of English Research is a peer reviewed, indexed, open access journal. It covers all areas of English and Literature, literary language and language teaching. Its global readership includes linguists, journalists, broadcasters, writers, teachers, students and others with a professional or personal interest in communication. 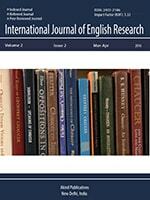 The Journal studies the structure and development of English across the globe, and in particular, its relationship to and effect on cultures and other languages, scholars, teachers, students, luminaries and policy makers associated with the professions of teaching, learning and assessing English language, literature, linguistics and translation studies across the entire globe. The primary aim of the IJER is to generate and disseminate new, high quality knowledge about English language teaching, literature, linguistics and translation studies as well as to promote advanced researches and best practices in these fields. 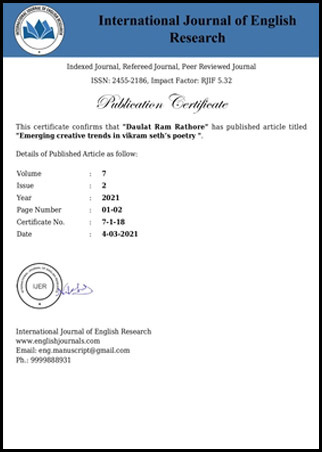 The journal aims at providing a platform and encourages emerging scholars and academicians globally to share their professional and academic knowledge in the fields of English language, literature, linguistics and education, original and current research work completed on the vital issues.